A paradise for wildlife lovers, the world famous Corbett National Park is where you get a tryst with exotic wilderness.Wildlife is a proud possession of any realm and represents its natural treasure. Here, we provide you some information about the six most desired attractions of and around Corbett National Park. This post is based on real-time experiences by people. The best place to stay in Corbett is Dhikala Forest Rest House (FRH), located 31 kms inside the park. Other good places are Gairal FRH and Bijrani FRH. All of these have a different charm. Dhikala has an easy access to the vast grasslands while Gairal is amidst the dense jungles of Corbett. While Bijrani is in an ultimately different zone. Dhikala zone is, undoubtedly, the best of the lot and hence, the most sought-after. Most of the campus has an electrical fencing so, it is safe at night, except the Sultan FRH. Dhikala has 24 hrs power supply, but the others have only 6:00 pm to 9:00 pm of generator power supply. Gairal FRH is located amidst deep woods, by the side of a river and hence, stays cool even during peak summer. This place is not for those who like artificial props or even for those who are habituated to be in a rush. You need to be a nature lover and a lover of quietude to appreciate what Kosi river offers – a connection with your inner self. The banks near Kosi River at Jim Corbett seem to be pristine. The entire area remains cool and the almost transparent water of the river makes the scene peaceful and serene. The hanging bridge above the river looks like a chapter from the past and gives the entire landscape a rustic look. One can get an opportunity to boat as well as to spend an entire day sitting on a rock and reading one of their favorite books with feet dipped in the water. 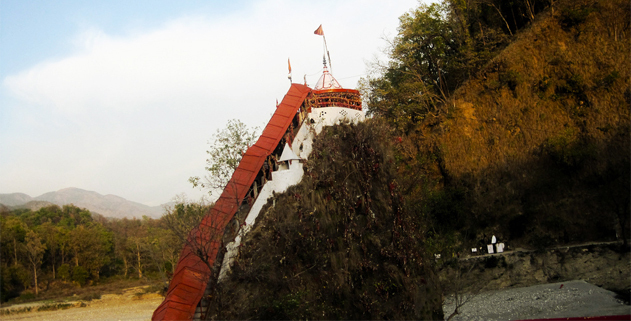 The Garjiya Devi temple is situated before the Dhikala Gate of Corbett. The temple is dedicated to Garjiya Devi, that is, Goddess Parvati and is on the top of the hill alongside the Kosi river. The nearby locations and views are very beautiful. Here, one can enjoy the beauty of the banks of Kosi river also. The temple is very famous among the devotees who have a lot of faith in the divine power. During floods, the river water destroys all the nearby obstacles but the temple remains unharmed by any natural calamity. Lots of devotees are attracted to the site and fairs are organized near the temple in the festive season or at some auspicious occasions. You must visit this place if you are planning a trip to Corbett. The Corbett Falls is a naturally beautiful spot near Jim Corbett National Park. For visiting the waterfall, firstly you have to travel by your own vehicle for around 2 kms and then, by walking for about half a kilometer from the parking area. The whole area is surrounded by forests with natural silence and scenic beauty. There is no risk of animals. The sound of the falls gives immense pleasure. This is a natural waterfall and the place is neat and clean. The place is not commercialized and one can enjoy and feel the essence of nature. The surroundings give a feel of Corbett forest. If you have time, then you must pay a visit to this place. The view of the waterfall is really good. 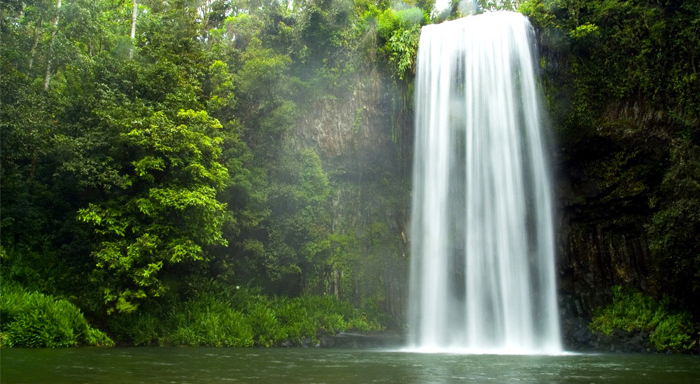 Although going near water is not allowed, but you may enjoy the waterfall from a little distance. Jim Corbett National Park in Uttarakhand is known for its Jungle Jeep Safari. It is the best way to cover maximum area inside the forest under a stipulated time frame. This also provides a quick and convenient way of viewing wildlife or tracking the tiger in the open four-wheeled jeeps. Elephant safari in Corbett is the only way to see the wild animals closely and spend more time with them. The Elephant is a royal mode of transport. The height of the gigantic beast helps to view the wildlife species very clearly. The gorgeous picturesque views, natural beauty, cool and calm atmosphere and fresh and fragrant air adds a majestic excitement to the Elephant Safari tour.